Everybody needs a job but only extraordinary people work here. 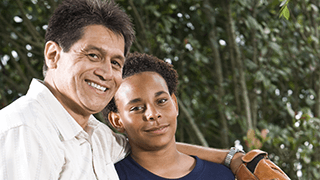 CA Mentor Family Support Services provides intensive coordination and family support (known as Wraparound) to youth who have been or are at-risk of being referred to an out-of-home placement. 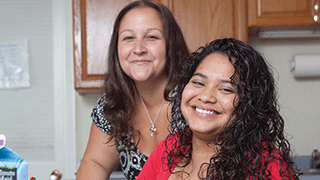 As the Parent Partner for California MENTOR Family Support Services, you’ll be one of those extraordinary people. We seek a passionate leader who can successfully be responsible for providing guidance to parents/caregivers who have children being served through the system. This person will utilize personal prior experience of having a child served in the system to relate to parents/caregivers and help foster a relationship of trust and support between them and the treatment team. Also provides advocacy and liaison services between the clinician, treatment staff, , community agencies, services, families and child(ren) to ensure families are properly supported through the process of having children involved with the system of care, probation or mental health systems, and utilizing any of the Network’s services. Do you have leadership experience working with people with intellectual and developmental disabilities and looking for a meaningful change in your work life? Leverage your skills with California MENTOR to make an impact in people’s lives. Join our dedicated, dynamic and fast growing team today! Provides guidance to parents/caregivers who have children being served through the system. Utilizes personal prior experience of having a child in the system to relate to parents/caregivers and help foster a relationship of trust and support between parents/caregivers and the treatment team. Provides advocacy and liaison services between the clinician, treatment staff, , community agencies, services, families and child(ren) to ensure families are properly supported through the process of having children involved with the system of care, probation or mental health systems, and utilizing any of the Network’s services. Facilitates an alliance between the families and the Network. Participates as a full and active member of the child and family team. Document work as it pertains to record keeping and state-specific requirements. Assists the family in bringing up and discussing difficult issues at child and family team meetings. 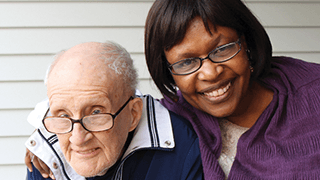 Facilitates linking clients with appropriate community services; follows-up, consults and collaborates with community agencies to ensure clients receive appropriate services. Leads/Co-leads parent groups (support or educational) for current and discharged families. Participates in trainings for treatment staff and families. Attends and participates in treatment planning meetings, court review hearings, team decision-making, IEP and other meetings to provide support and information to the teams and the families. Reaches out to families in order to best meet the needs of clients including visiting families’ homes and initiating contacts with families as soon as a client is placed; provides information and follows up on questions to allay families’ concerns and provide support; provides support and encouraging feedback to families reconnecting to their community; links clients and caretakers to community services as appropriate and helps them make and keep appointments with those services. Contributes to individual and group counseling providing education, consultation and other needed services. Performs additional duties and activities as required. Prior personal experience as a parent or legal guardian of a child who has been involved with the system (DCFS, probation, Regional Center, Dept. of Mental Health or the like) required. Probation and/or DCFS case must be closed for a minimum of one year. Two years of experience in a mental health setting strongly preferred. Auto insurance that complies with the state policy concerning minimum car insurance coverage. A competitive compensation/benefits package including 401(k) with company matching.